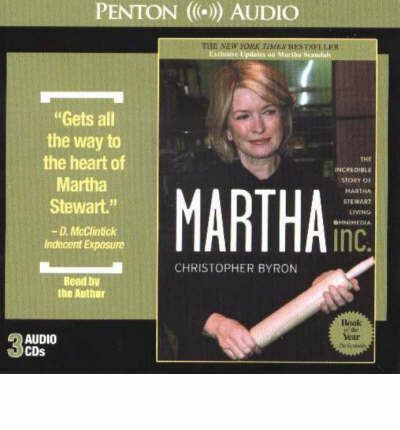 The story of Martha Stewart is the story of an incredible woman who had the brains to recognise opportunities when they dropped in her lap and who had the drive, energy, and determination to turn them into unprecedented success by gathering around her, and often ruthlessly exploiting, the talents, and sometimes even the loyalty of many people. The less visible story is how, and ultimately why, all this happened - the hidden world of Martha Stewart and her dreams. That is our story - the story of a little girl who never got over what life never gave her and wound up inventing for herself a past she had never known - a hologram of life so powerful that it not only convinced her personally but mesmerised the world. In time, the quiet little girl from the house on Elm Place became the richest self-made businesswoman in America - by selling the world all her missing parts. This is the story of what was missing, why it was missing, and how she turned it into a billion dollars. Approximate running time: 210 minutes.